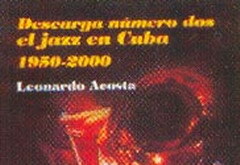 The writer, journalist, musician and Cuban educator Leonardo Acosta National was awarded with the National Prize of Literature 2006 for his valuable essays, Prensa Latina stated on Wednesday. Acosta (Havana, 1933) was National Prize of the Critics in 2005 for his substantial essay Alejo Carpentier on Solid Ground, and is member of the Cuban Academy of Language. He also was founder of the Cuban and Latin rock starting from The Hot Rockers, in 1957. Acosta founded the ICAIC legendary group of Sound Experimentation (GES), that revolutionized the island song, together with Leo Brouwer, Silvio Rodriguez, Pablo Milanes, Sergio Vitier , among others. In his literary work stand out texts Paisaje del hombre (1967), Jose Marti, La América Precolombina y La Conquista Española (1974), Musica y Epica en la novela de Alejo Carpentier (essay), Del Tambor al Sintetizador (1983).